WHITE DRESS. 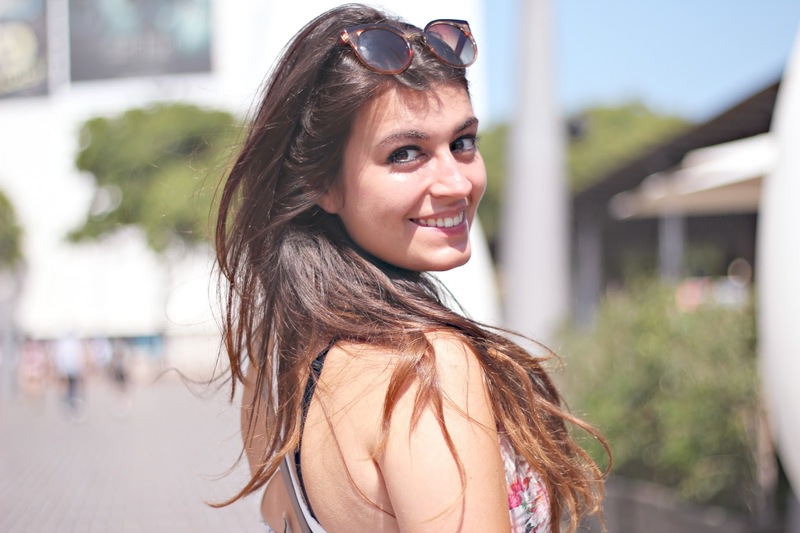 This day in Barcelona was more than hot! Actually, everyday we had such hots days between 30 to 36 degrees! Kinda crazy! At first, we wanted to visit the beautiful Sagrada Familia, a must to see while you're in Barcelona, but unfortunately, there was lot of people there so we thought it would be better to go back there a little later and to visit de Barcelona Aquarium. 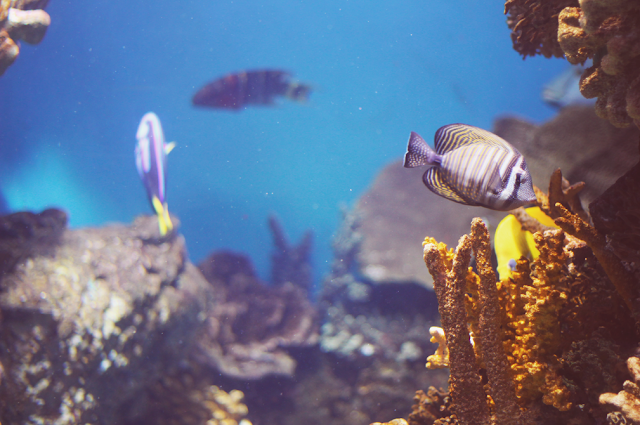 We spent a great time there between all those little tropical fishes and of course the sharks! Then, we went to the Sagrada Familia and even if it was my second time there, it's always so breathtaking to visit the inside! I let you enjoy the pictures and see you soon for another Barcelona post! 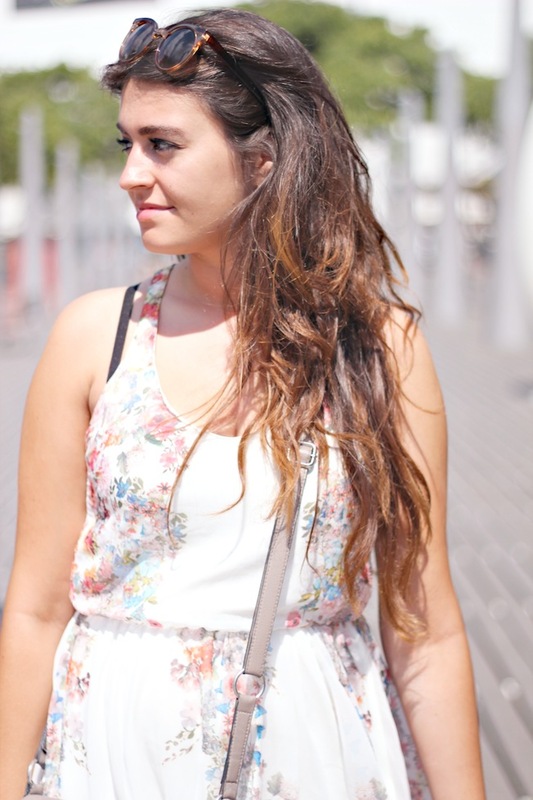 ROBE BLANCHE. Ce jour-là à Barcelone, le temps était plus que chaud! A vrai dire, chaque jour nous avons eu des grosses températures qui allaient de 30 à 36 degrés. C'était un peu fou! Au debut de cette journée, nous voulions visiter la belle Sagrada Familia, le ''must du must'' à voir à Barcelone. Mais malheureusement, il y avait une queue incroyable et nous avons donc décidé d'y aller un peu plus tard et de nous diriger plutôt vers l'Aquarium de Barcelone. Nous avons passé à très bon moment avec tous ces poissons tropicaux ainsi que les requins. 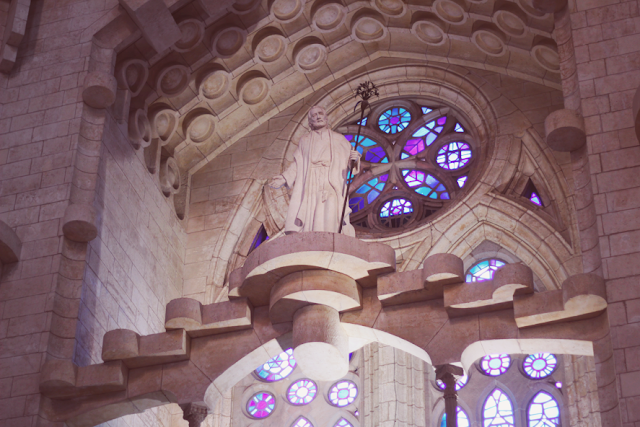 Juste après, nous nous sommes donc rendues à la Sagrada Familia et même si c'était la deuxième fois que je la visitais, c'est toujours aussi incroyable de voir l'intérieur de cette cathédrale! Je vous laisse savourer les photos et à très bientôt pour un nouvel article sur Barcelone! Beautiful dress and amazing photo's. Great pics and love your dress! Love my city. Love your dress! Amazing pictures and I also love your dress! Thanks for your comment. I am a new GFC follower and now I hope you follow me back, ok? Thanks for the comment on my blog; I really enjoyed seeing the photos from your trip. It looks like you had a wonderful time in Barcelona. you look gorgeous! love that dress on you! so pretty! Thank you for your comment. I like your dress. Sure we can follow each other. I am now following you via GFC(#593). Follow back? Aamzing dress and lovely bag!!! I'm following you on GFC,Bloglovin and I liked your FB page!!! Now is your turn.... kisses! Lovely dress dear! Thanks so much for your comment on my blog today! I really appreciate it! I'm your newest follower at #596 and I would love it if you would follow me too! Also, following you on bloglovin and Facebook. :) Have a great day! Stunning dress. You look fabulous. thanks for visiting my blog by the way, i am now following you on GFC. Merciiii ma belle pour ton adorable commentaire! je suis contente que tu ai aimé l'article et j'espère pouvoir te faire rire encore longtemps !!!! You got a lovely blog too! Do you want to follow each other? Let me know hun! Your blog looks amazing, I love your header! Such a beautiful dress! 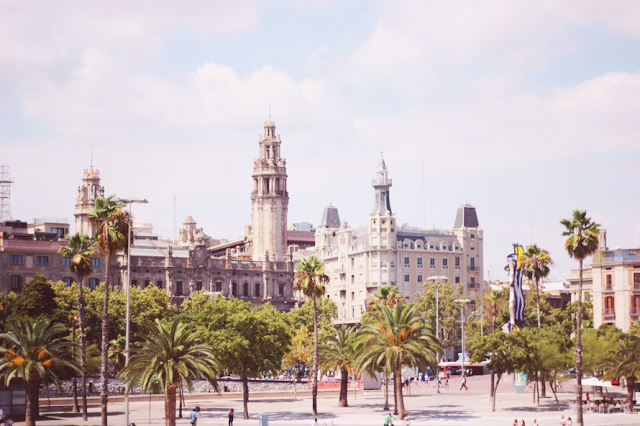 Barcelona♥ I wish I was there! The dress is lovely and the sunnies are amazing!